What if your blades could stay sharp as ever for just a little bit longer, saving you frustration (and a decent chunk of money) in the long run? Here, some handy care instructions to help with just that. By Stephen J. Praetorius for GQ. There's nothing quite like the feeling of shaving with a fresh razor. Gliding ever so easily across your cheeks, obliterating each and every hair in its warpath without even a hint of resistance, a brand-spanking-new blade can't be beat for its ability to keep your jawline as smooth and hair-free as possible. Unfortunately, it doesn't last. 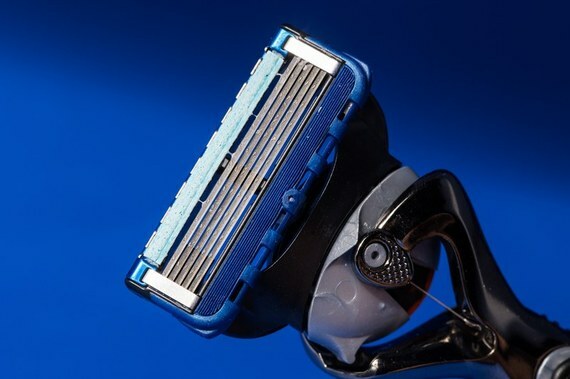 With every use, your razor's ability to fend off a face-mane seems to diminish exponentially to the point where, in what feels like the blink of an eye, you're suddenly compelled to replace it. But what if that didn't have to be the case? What if your blades could stay sharp as ever for just a little bit longer, saving you frustration (and a decent chunk of money) in the long run? Here, some handy care instructions to help with just that. For obvious reasons, one of the main factors determining the lifespan of your blades is the quality of the hair with which they regularly come in contact. Should those follicles not be properly softened--via warm shower, badger-hair brush, moisturizing shave cream, or, ideally, a combination of the three--then that longevity is going to take a real hit. Make all the right moves when it comes to your preshave ritual, and your razor may actually have a shot at lasting longer than a week. You might think that what you do with your blades has the most effect on how long they last, but in fact that's not the whole truth. You see, even when you're not wielding your razor, these impossibly thin strips of sharp metal may still be taking a beating. The culprit? Moisture. Water in the air has a way of drastically reducing your razor's lifespan without you even noticing, dulling the blades by way of oxidation. For that reason, you should store your tools somewhere out of the reach of shower steam, be it outside of the bathroom or simply in a plastic bag. Another line of defense: blade oil. Naturally water-repellent, the stuff has been proven to maintain razor sharpness. Plus, it's good for your skin. Can't beat that double whammy.